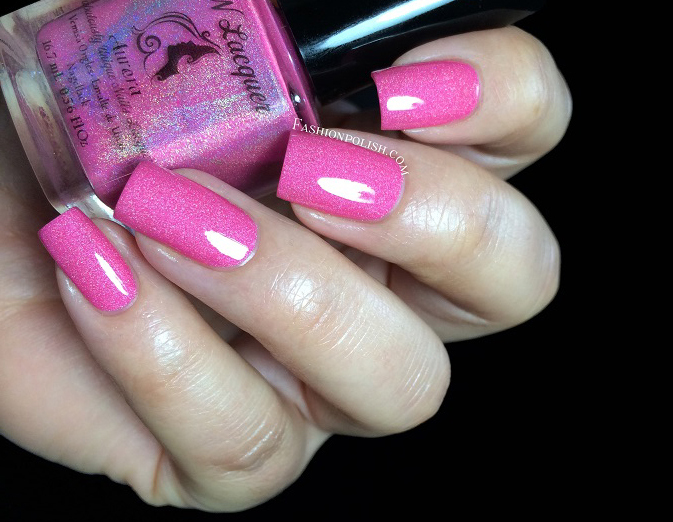 Fashion Polish: FUN Lacquer Princess collection review! FUN Lacquer Princess collection review! Hi everyone! Who's up for a massive holo picture spam today? 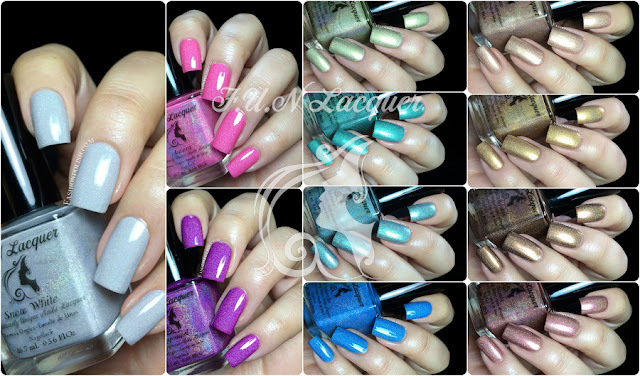 I have the FUN Lacquer Princess collection to show you today : a beautiful rainbow of 11 holos. Snow White is a white/grey holographic nail polish. Snow White is all of those things, looking at the bright side with a smile on her face. She is as kind and gentle as she is fair. 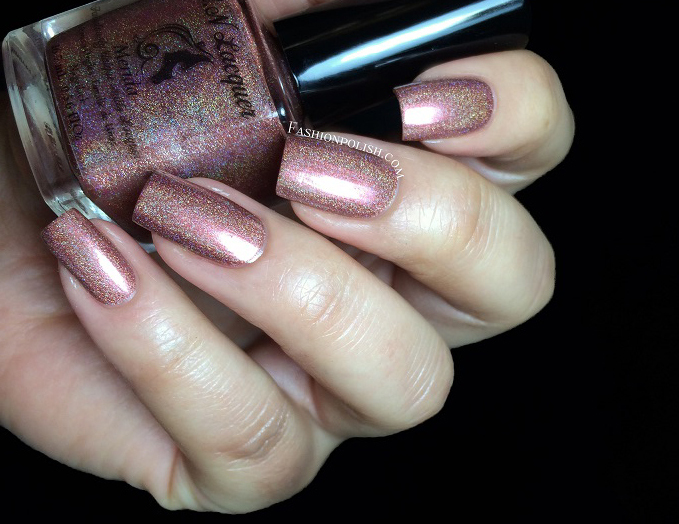 Aurora is a pink holographic nail polish. Pink is associated with royalty and magic. Pink also gives off romantic feelings, and Aurora is a hopeless romantic dreaming of her prince. In the story "Sleeping Beauty" she is also wearing a sweet pink dress. 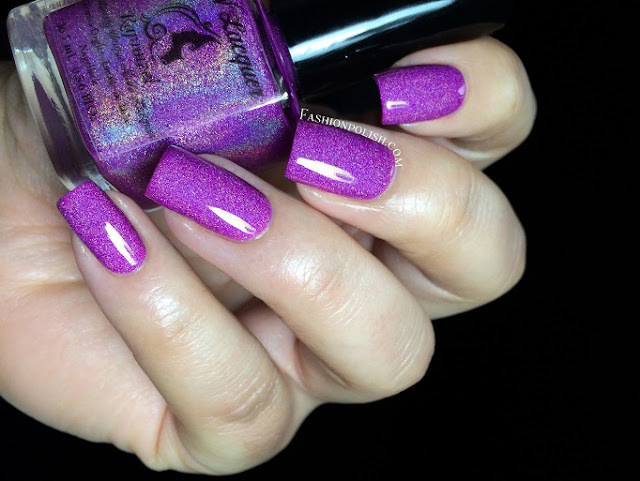 Rapunzel is a purple holographic nail polish. Purple symbolizes passionate and assertiveness. Encouraged by her friend Pascal her highly curious nature and sense of adventure make her yearn to discover what life is like outside the tower. Rapunzel represents the contemporary girl with a true balance of sweetness and assertiveness. Tiana is a green/yellow holographic nail polish. Green associated with money and ambition. Tiana worked hard all her life to earn the money she needed to open her restaurant ans she also had that ambition to follow her dream. Ariel is a turquoise holographic nail polish. Ariel is independent, impulsive and adventurous. She is determined to follow her own's dream. Ariel has a turquoise outfit in the story "The Little Mermaid". 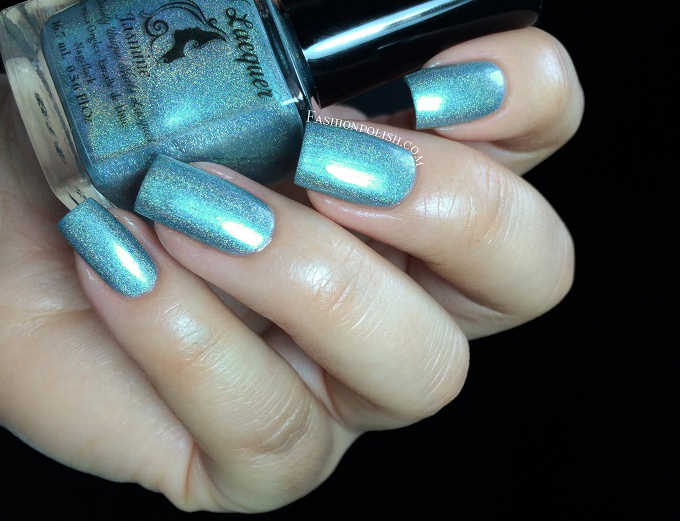 Jasmine is a turquoise/blue holographic nail polish. Jasmine is incredibly independent and smart. She is capable of taking matters into her own hands. In the story "Aladdin" she has a beautiful turquoise/blue outfit. 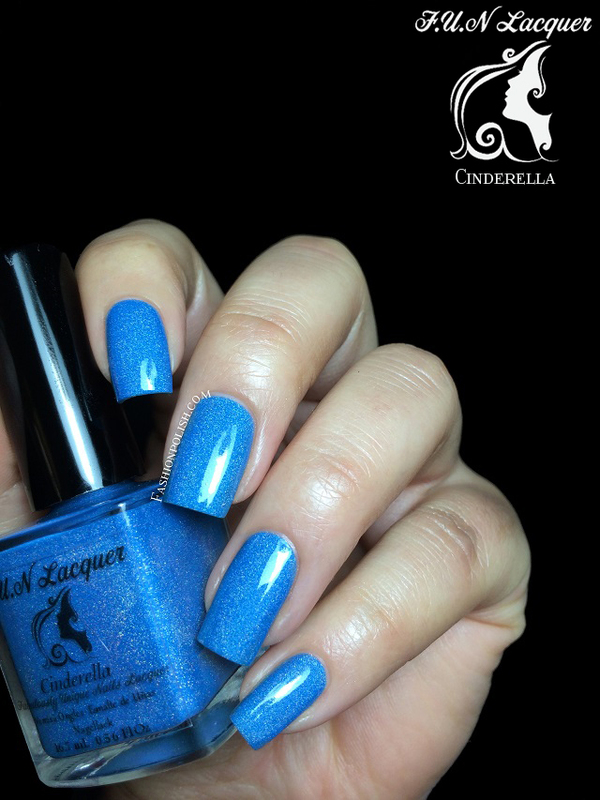 Cinderella is a blue holographic nail polish. Blue symbolizes innocence, light and purify. Cinderella is strong in mind and spirit to hold on to her dream. She is also wearing a crystal blue dress in the story "Cinderella". 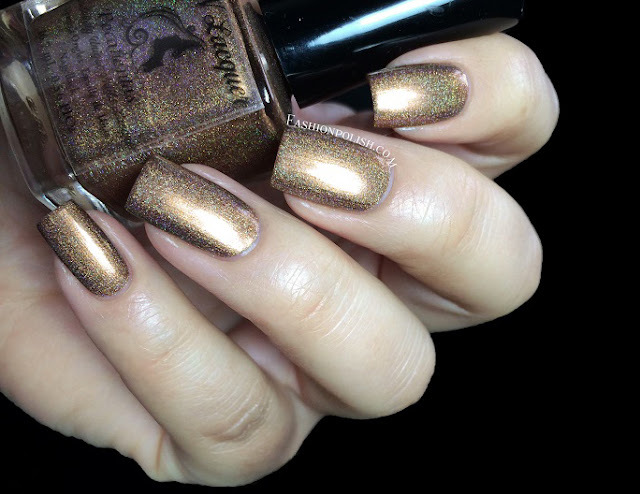 Mulan is a tan/lightbrown holographic nail polish. Mulan has an Asian skin color. She loves her family deeply and hates to disappoint them, but it's not until she follows her own path that her courage, intelligence and spirit honor to herself and her family. 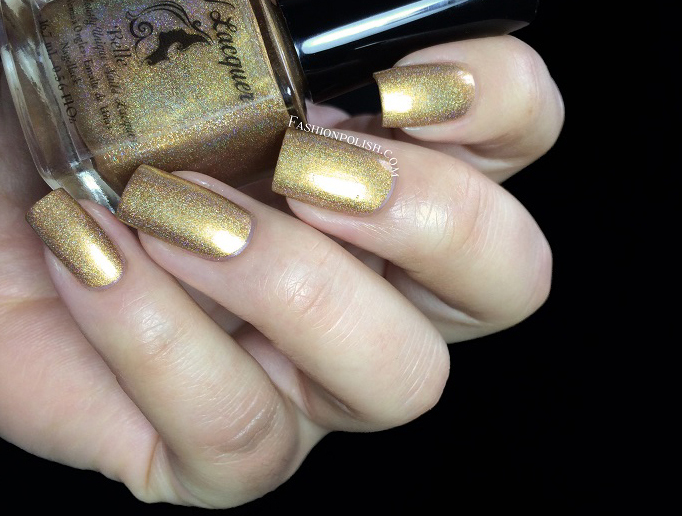 Belle is a gold holographic nail polish. Gold symbolize loyalty, intelligence, dept and trust. Belle is smart and loyal to her father. She is also wearing a shimmery gold in the story "Beauty and the Beast". 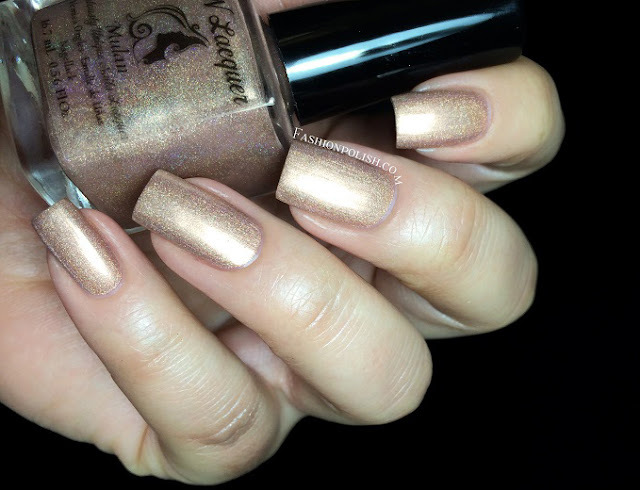 Pocahontas is dark brown holographic nail polish. Brown represents fascination, attraction and determination. It is also associated with fall and harvest. 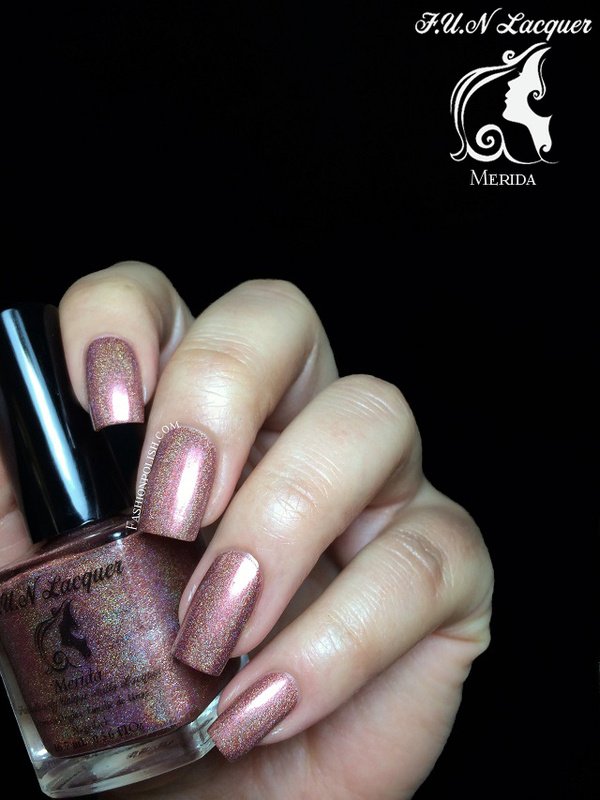 Merida is a redish/brown holographic nail polish. Passionate and fiery, Merida is a headstrong teenager of royal upbringing who is struggling to take control of her own destiny. Formula and application were really nice on the entire collection. A couple of them had a jelliesque finish, namely Snow White, Cinderella, Aurora and Rapunzel, but most were almost metallic. I really love this collection, I love that there's an entire concept behind it and that all of the colors fit their inspiration perfectly. I do wish some of them had a stronger linear holo effect but they're still beautiful nonetheless, don't you think? I can't wait to hear your thoughts on this collection, thanks for looking girls!